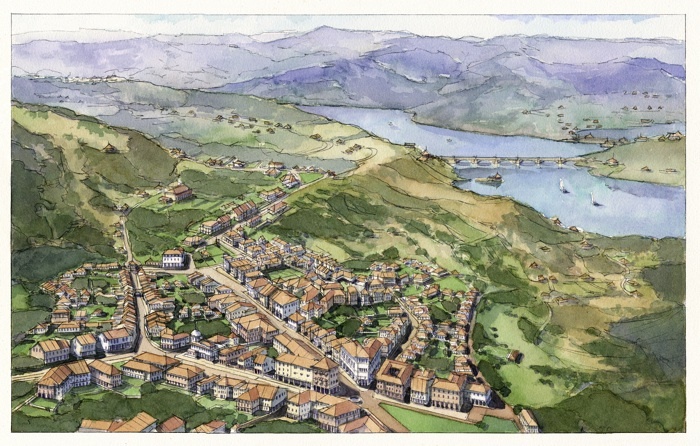 Even at the scale of cities, planners can work with the local ecology to create lasting interventions that minimize disruptions to the landscape, such as Khed Sez (shown) and Lavasa, both in India. 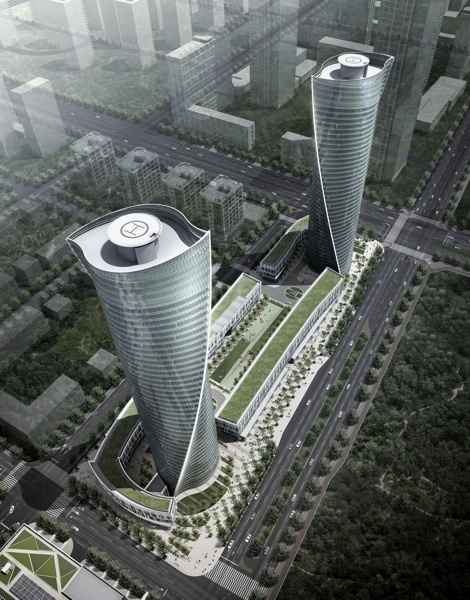 By using a honeycomb-like structural system for a series of towers in New Songdo City, South Korea, instead of the standard approach—in which structural members are forced to twist—HOK was able to use less material and keep costs low. The relationship between architecture and nature, for the last 500 years or so, has been one of juxtaposition. Architects and planners, referring to their creation as the “built environment,” have put nature—that other environment—into the cross-hairs, hoping either to trim it into submission or to push it outside city limits altogether. Knittel is design principal and sustainable design leader of the New York office of HOK, one of the world’s largest architectural firms. Recently, the company formed an exclusive alliance with the Biomimicry Guild, a Montana-based consulting organization that pairs consulting biologists with designers, seating architects and ecologists together at the drawing table. When HOK is involved early in a project, an interdisciplinary team of Guild and HOK professionals visits the site to better understand the “genius of place” in order to aid the design team’s architectural approach. Faced with constructing a hypothetical building in a desert setting, for example, HOK designers drew inspiration from the barrel cactus, whose vertical ridges work as a self-shading device—something that would cut down artificial cooling loads in the finished structure. At a much larger scale, HOK is now designing an 8,000-acre city, Lavasa, in a region of India subject to seasonal flooding from monsoons. The Western Ghats, a mountain range that hems the site on one side, cause storm clouds to empty after their long journey across the plains. Valleys fill up with as much as nine meters of water for three months, but the site remains arid the rest of the year—a condition exacerbated by modern agricultural techniques. HOK’s team determined that the site’s original ecosystem was a moist deciduous forest that in recent times had become an arid landscape. In its original state, trees would have maintained soil quality, stored water through the dry season, and provided a canopy to control evaporation. The team took this as the design’s point of departure. Working with engineering consultancy Buro Happold, they are designing a building foundation system to store water, as the trees once did. 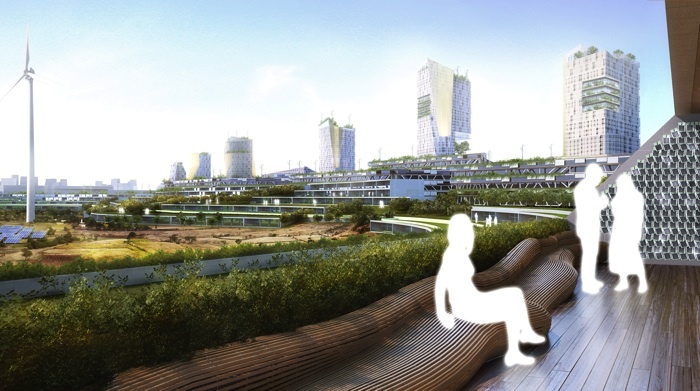 And for the future city’s rooftops, the team is borrowing from the unusual morphology of the native banyan fig leaf: its so-called “drip-tip,” a pointed spear at the leaf’s end that doubles water run-off and cleans its own surface in the process. Using the leaf as a model, HOK is developing a tiled shingle system that will shed water in the same way. During the rainy season, however, there is the problem of where to send overflows; for this, HOK looked to local harvester ants, which divert water away from their nests with multipath, low-grade channels. The site’s master plan will adopt this insect strategy to channel water through the city. Working with the design and engineering firm Arup, the team looked to the configuration of honeycomb, which retains its structural integrity even while twisting. 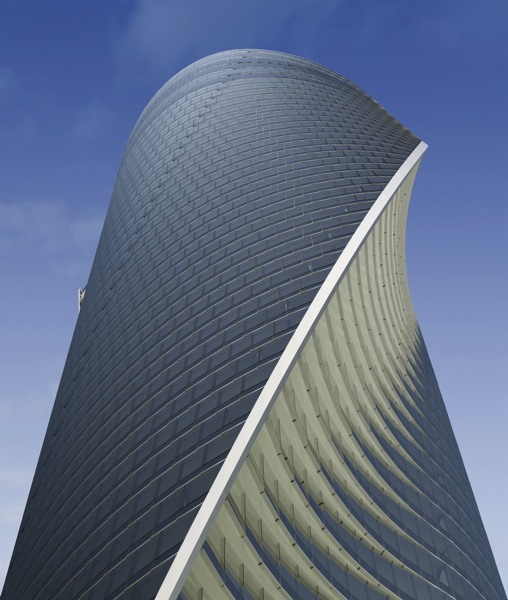 This system, with staggered supporting walls cantilevered from the core, allows each floor-plate to pivot around the center of the building, generating a structurally sound tower based on a honeycomb pattern—and the twisting form the client wanted.